When it comes to travel, your hotel sets the mood -- how can you fully enjoy yourself when your lodging's stuffy and outrageously expensive, or so run-down that someone's apparently been living in the next room for 37 years? 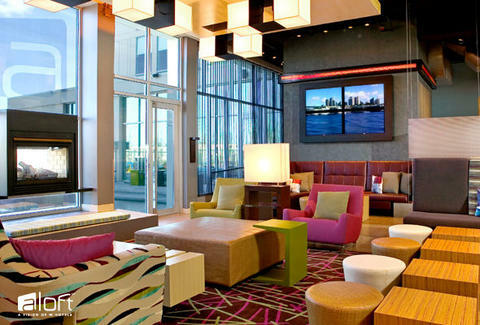 Set the right mood, guaranteed: get style at a steal with Aloft Hotels. A vision of W Hotels, this urban, loft-inspired boutique boasts 40+ global destinations now open, with even more arriving soon -- covering pretty much every place you'd want to go, unless you're still convinced Mystery, Alaska is the most heartwarming destination on the planet. Because you're above average, possibly even special, your amenities will include fast + free WiFi, the always-happening w xyz bar scene, and 24/7 re:fuel by Aloft gourmet bites -- because late-night hunger deserves to be treated with dignity, not cheese poofs. Active nation-/globe- trotters can take advantage of the reviving splash pool and re:charge gym, probably a good idea if, like the rest of us, you think cheese poofs are actually pretty good. Right now, book two nights at Aloft Hotels and get 20% off your stay, an offer exclusively for those who pay with any American Express® Card. You'll be so well taken care of, you'll want to stay for 37 years -- which is just going to be uncomfortable for everybody.